Why everyone is trying to send the money in the cheapest way possible, it’s simply because no one wants to waste a single extra penny of their hard work. The other mediums like bank transfer are very much costly which will make them do extra hard work just to send the desired amount. And why anyone wouldn’t want to save some money and give it to their family instead of paying banks as the transfer fee. Xoom is one of the cheapest and fastest ways to send money from the USA to Nepal in minutes. If you are a new user, you need to sign up for a new account on Xoom or already have an account, you can log in directly. It supports instant cash pick up in Everest and Prabhu Bank, whereas it also provides 1-day deposit service to most of the banks like Laxmi Bank, Himalayan Bank, Nepal Investment Bank and many more. If the money is transferred using a bank account, then up to $1000, it can cost you around $4.99. But if you transfer over $1000, the transfer cost is fee-free. It is a quite secure and safe method to transfer money from the USA to Nepal and it even provides money back guarantee. If this is your first-time money transfer from Xoom and your money amount is $400 or more, you will get a $20 Amazon eGift card. WorldRemit is another one of the trusted low fee money transfer method to transfer money from the USA to Nepal. It can be used for bank transfer, instant cash pick up and mobile top up to popular mobile companies. Hundreds of pickup locations are available from Mechi to Mahakali in Nepal. For Bank transfer, it can take 1 business day and instant cash pickup can be done within few minutes. It is easy to use a medium for transfer of money from the USA to Nepal and can be used on a Smartphone, computer or tablet. 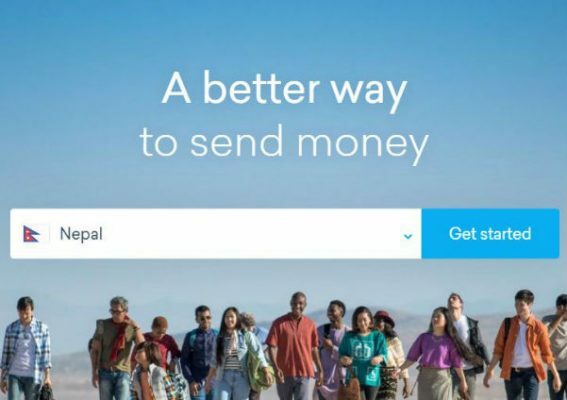 Skrill is another way to send money to Nepal. Money can be sent through Skrill using two methods in Nepal, either through Skrill wallet or eSewa. The sender can send the money in an eSewa account in Nepal or to the person in Nepal who has Skrill wallet and they can add an eSewa to their Skrill account to withdraw the money. It requires the user to register using the email address and a secure password. 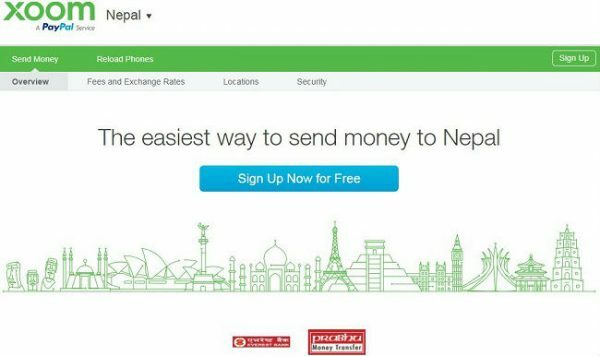 They can then send money to the eSewa account directly from Skrill in Nepalese Rupees. The transfer fee is 1.45% and currency conversion fee for all supported currency into Nepalese Rupees is Nepal. For first time user, the transfer fee is free of cost using Skrill. Lucky Money is another popular way for money transfer with lowest fees and fastest delivery. You need to create an account for the first time by signing up your details. To send money it has very much easy process, you need to select the country, amount, recipient and the method of delivery. They have partnered with major banks all over the world which are globally trusted banks. In Nepal, you can send money to Siddhartha Bank, NIC Asia Bank, NMB Bank, etc from Lucky Money. The recipient can easily collect the money from the banks in Nepal. The first transaction from Lucky Money is free when transferred using US Bank account. Paying with Bank, it will charge $4.99 transfer fee for each transaction. 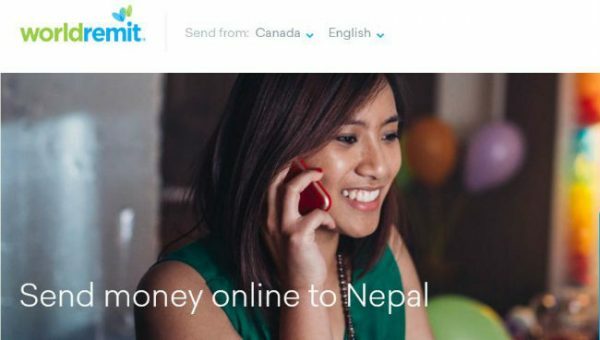 WorldRemit is one of the trusted low fee money transfer methods also to transfer money from Canada to Nepal. It can be used for bank transfer, instant cash pick up and mobile top up to popular mobile companies. Hundreds of pickup locations are available from Mechi to Mahakali in Nepal. For Bank transfer, it can take 1 business day and instant cash pickup can be done within few seconds. 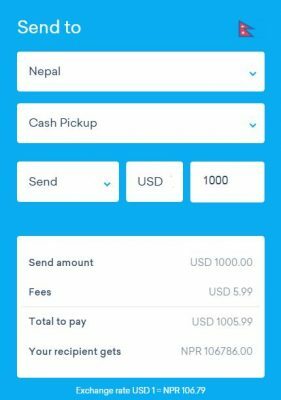 It is easy to use a medium for transfer of money from Canada to Nepal and can be used on a smartphone, computer or tablet. Transferwise is a popular medium to transfer Euro, British Pound (GBP), etc at low cost. It can be used for low-cost transfer, instant transfer, and advanced transfer. 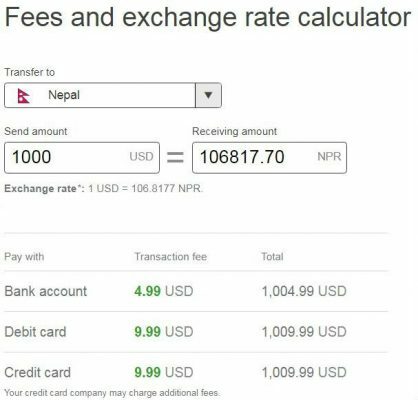 It cost 11.39 GBP for 1000 GBP transfer in Nepalese Currency. You can make a transfer using Android app or iOS app or from its website. The recipient will receive the money in their bank account numbers. City Express is an easy way to transfer money from Japan to Nepal. It has more than 5500 payout points and cash pickup locations in Nepal. The sender can directly top-up mobile and can also send in CityPay Wallet. It provides 24×7×365 customer care service. The transfer fee for sending Japanese Currency into Nepalese Rupees depends upon the transaction amount. Japan Money Express is one of the first remittance companies of Japan. It has a large network covering all cities and villages of Nepal for the remittance service. JME remit has more than 1200 paying agents across Nepal. A unique identification number will be provided to remitters and fund will be transferred to pre-agreed location. The receiver can collect the payment from the location after confirming ID of a receiver. Kyodai is remittance service to send money from Japan to Nepal at low transfer fee. To send money using Kyodai Remit, first, you need to be its member. You can have a remittance card for low transfer cost. The recipient can receive money from any banks which have IME service in Nepal. Here is the transfer fee for transaction amount in Yen while sending to Nepal from Japan. Don’t think Hundi as the cheapest way to send money. It is an illegal way and has a high risk of losing money. Hundi or Hawala is a type of informal or illegal way to send money. It skips banking channel and does not work in terms and regulations of Central Banks of many world governments. Nepal Rastra Bank (NRB), the central bank of Nepal, does not recognize Hundi as remittance transfer channel. The Hundi transfer results in less productive investments negatively affect governance and exchange reserves by encouraging tax evasion. It has a high probability that you may lose all of your money, using Hundi. Bitcoin is a new type of digital currency which is known as a Cryptocurrency. Transactions performed by Bitcoin cannot be tracked and Nepal Rastra Bank is unable to regulate its transactions. The remittance will be mostly outward for buying Bitcoin than inward remittance, which can depreciate Nepal’s economy. Bitcoin is unstable, not recognized as currency by any country and only over the internet. That’s why it is banned and illegal to use in any kind of transaction in Nepal.